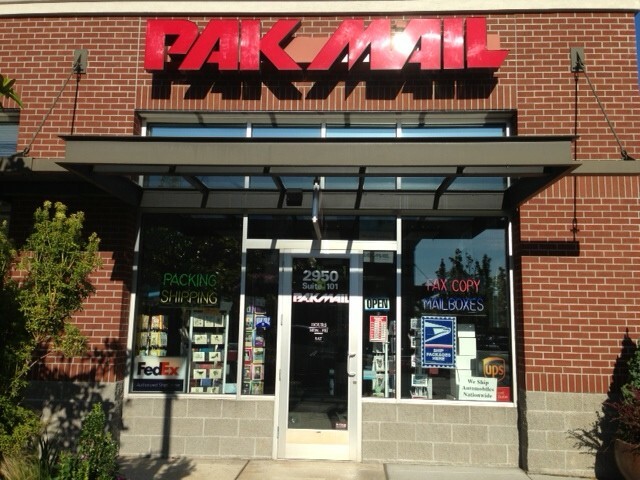 At Pak Mail, in Bellingham’s Barkley Village, we specialize in giving you the absolutely best service for all your packing and shipping needs. Just ask our customers . . . we take pride in our work, and we strive to select the safest, most economical delivery option for your items. We specialize in packing and shipping items no one else can handle – large and bulky things like furniture and electronics, heavy equipment, tools, machinery, fragile sculpture and high-value artwork. Even cars and motorcycles! Pak Mail is the most comprehensive packing and shipping business you will ever use. We help our customers do everything from mailing a letter to packing Nana’s bone china to crating a drill rig for shipment overseas. We’d like to be your personal packing and shipping department. When you ship with us, we compare rates from our preferred network of small package or freight carriers and provide you with a variety of delivery options. Need to ship an automobile to Arizona? Send electronic equipment to Saudi Arabia? Move your college student to UCLA? We can help you get everything there . . . without worry or hassles! We ship anything, anywhere! Nothing is too big, bulky or high-value for us to handle. We pack your fragile and valuable items to ensure safe arrival. Kids love our play area. Rate quotes and estimates happily provided. Choice of carriers – ground, air, ocean, freight, blanket wrap, automobile carriers. Where are the items you shipped? Have they been delivered yet? Who signed for them? Track them here so you will always have the up-to-date status and information you need. Click on the appropriate shipping company below to track your shipment.